Treacherous has been finding his groove of late and can step up to claim a first success since June in the Play 4 Toscore At Betway Handicap at Newcastle. 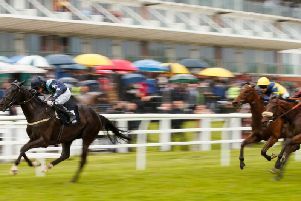 The five-year-old underwent a wind surgery last September and that has seemingly done the trick, as he has been placed in each of his three subsequent starts at Kempton. Twice defeat has come by narrow margins, going down by a neck in November before just a short head denied him glory on his most recent start. Ed de Giles has plenty to take heart from though, as it really was a blanket finish to a decent little event that day and he had to contend with a wide draw, too. He may have lost out in a photo, but compensation awaits here. Dancing Ballerina is one to watch as she drops back to the minimum trip for her handicap debut. Karl Burke sends her for the Ladbrokes Handicap after three unsuccessful novice runs and her opening mark of 60 looks decent. Sparkle In His Eye possibly bumped into a good one when second on his racecourse bow and can open his account in the Ladbrokes Maiden Stakes. He was beaten three lengths by Set Piece, who is held is some esteem by his trainer, and that looks decent form indeed. Harvey Dent can make it third time lucky in the Ladbrokes Home Of The Odds Boost Novice Median Auction Stakes at Lingfield. He did not really enjoy the best of runs when a beaten favourite on his most recent outing at this track, but given a bit more luck here, he can get off the mark. Lady Buttons has been quite the standard bearer for Phil Kirby and she should again be to the fore in the Pertemps Lady Protectress Mares’ Chase at Huntingdon. The nine-year-old is unbeaten in three starts so far this term, kicking off with a Listed victory over hurdles at Wetherby back in November before making a seamless transition back to fences to win twice more. She impressed when winning a similar event to this at Doncaster last month, with the official margin of nearly four lengths hardly doing justice to the ease of her success. This is undoubtedly a sterner test, but Lady Buttons keeps finding a little more and can do so again. 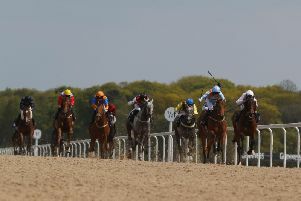 Court Liability overcame a year-long absence to win at Musselburgh on his reappearance last month and should be in the mix again in the Pertemps Network Group Handicap Hurdle. He is well regarded by trainer Harry Whittington and arrives here unbeaten under rules, with his point-to-point second behind Grade One winner Battleoverdoyen back in 2017 another feather in his cap. The six-year-old has not seen much action yet and could have any amount still to give. Rebecca Menzies sent out her 100th career winner earlier in the week and Fabianski can put the cherry on the cake by winning Doncaster’s Listed feature. She lines up in the Sky Bet Top Price Promise Fillies’ Juvenile Hurdle on the back of wins at Wetherby and Catterick and the ground looks likely to be on her side again. Forest Bihan has been well tried in the past but might be just finding his level now with the Sky Bet Best Odds Guaranteed Handicap Chase appearing a good opportunity. He had to settle for third in the Castleford Chase at Wetherby over Christmas when giving plenty of weight away, but nevertheless remains in good heart. DONCASTER: 12.50 General Bux, 1.25 Peter’s Portrait, 1.55 Forest Bihan, 2.30 Fabianski, 3.05 Groveman, 3.35 Bolister, 4.05 Notre Ami. DUNDALK: 5.30 Stronghold, 6.00 Sleepy Head, 6.30 Calling Time, 7.00 Altair, 7.30 Ahlan Bil Zain, 8.00 Master Diver, 8.30 Nisior Donn. HUNTINGDON: 1.00 Rouge Vif, 1.35 On Raglan Road, 2.05 Rabunda, 2.40 Lady Buttons, 3.15 Court Liability, 3.45 Vancouver, 4.20 Rootless Tree. LINGFIELD: 1.15 Voice Of A Leader, 1.45 Miss Green Dream, 2.20 Grandstand, 2.45 Charlie Alpha, 3.25 Harvey Dent, 3.55 Proceed. NEWCASTLE: 4.15 Sparkle In His Eye, 4.45 Amliba, 5.15 TREACHEROUS (NAP), 5.45 Olympic Spirit, 6.15 Spirit Kingdom, 6.45 Great Colaci, 7.15 Hula Girl, 7.45 Dancing Ballerina.